The Audreys asked Emma to create their ' Paradise City' music clip, in which she art directed, styled, created the body art and hair and make-up for the clip which was shot over one day and evening. Emma’s now famous stop animation body art was first created for this clip in 2008. Special thanks to Marty Pepper from Kojo Productions and Aaron Gully for camera work. Emma Hack's body painting work for Gotye's award winning music viceo "Somebody That I Used To Know"
by Nicholas Forrest. Published May 10, 2012. If you are one of the more than 200 million people who have viewed the film clip for the Gotye song Somebody That I Used to Know you will be familiar with the extraordinary transformation of the bodies of Gotye and Kimbra into amazing works of art that gradually morph into a background image until both singers are totally camouflaged. The amazing metamorphosis that takes place in the video is thanks to Australian artist Emma Hack whose extensive experience as a 'skin illustrator' caught the attention of director and producer Natasha Pincus who is responsible for the Gotye video. According to Hack, “Natasha contacted me as she had the idea to blend Wally (Gotye) and Kimbra into a wall for the clip. My work popped up in the search as I have been working with this technique in my artwork since 2005”. 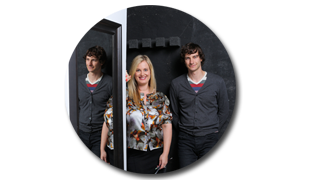 Emma worked closely with Wally (Gotye) on the background design, reconfiguring the image to work perfectly with the element of camouflage she is known for. The result is spectacular, taking 23hrs to animate with stop motion techniques. 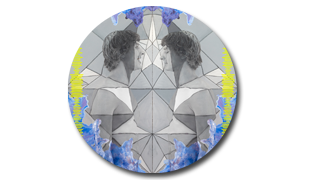 The backdrop painting is actually based on an 80's work by Gotye’s artist father Frank de Backer whose work is also featured on the cover and inside of the CD packaging of Gotye’s latest album Making Mirrors. 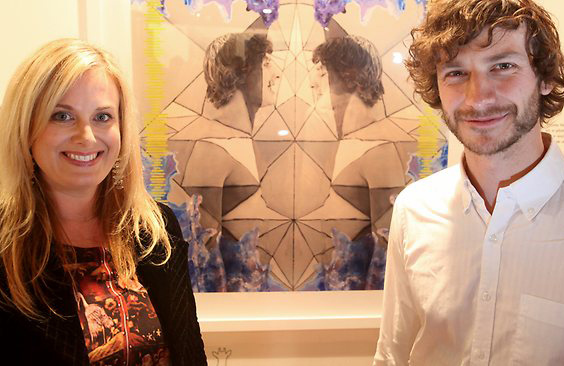 In a recent exclusive interview with Artinfo Australia Executive Editor Nic Forrest, Hack revealed some of the details of the Gotye body painting project. What was the concept behind the work you did for the Gotye video? Natasha Pincus, the director/producer, wanted to create a blend of the bodies into a background to make them appear as if they are in a relaitionship whilst blended. Then Kimbra leaves the relationship as the paint disappears from her back. What was it like painting Gotye? He is lovely. The process is very difficult and he was a trooper — never complained even though in pain. In all, it took 23 hours to create the work on them both. He loves and understands the process, which makes it easy to work with him. I painted him again last week for an image that is to be auctioned at Art Melbourne on Friday, the 25th of May. The final image will be hung on my stand at the art fair (C8). How have people reacted to the work? 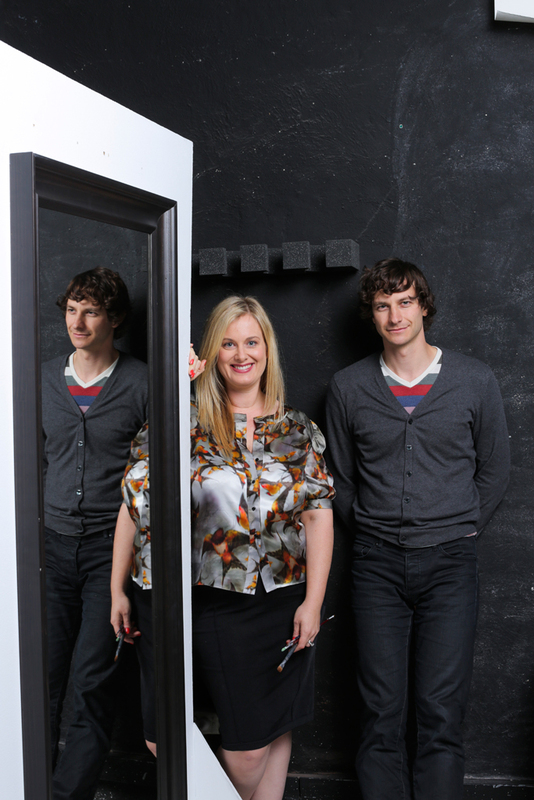 How did the Gotye project differ from your normal body-painting projects? It differs greatly from the art I create, which is what I want to do, creating in a calm environment with my regular models. The Gotye project is similar to a commercial gig, where I'm working for the good of the client and their needs — but it is a lot more demanding emotionally on me. Hack, an Adelaide based artist, is well known in Australia and internationally for her extraordinary photos of painted bodies camouflaged against often complex background images. Emma began exploring the notion of camouflage, drawing inspiration from iconic model, Veruschka, who in the 1960s and 70s painted herself into rustic walls and naturalistic settings. Hack’s artworks have grown in popularity since her Wallpaper Collection featuring the late Florence Broadhurst designs of the 60’s and 70’s. She now paints her own canvas backgrounds. Her photographic artwork takes 8‐15hrs to complete. A one-off 130x130cm 1/1 edition, signed and framed image of a portrait of Wally (Gotye) by Emma Hack will be auctioned at ART Melbourne for the Art Series Hotels Charity Auction on Friday 25th May. The work will not be a recreation of the video still, but rather a unique creative concept made specifically for auction at this year’s fair. Proceeds will be split between Make-A-Wish Australia and The Thin Green Line. 50 editions, signed, perspex mounted images at 35x35cm will be also available with proceeds to The Thin Green Line .